After a brief life update from Ashley (she’s coming back to the podcast soon!) Katey talks with Cari Jackson about what to do when we long for spiritual community but have trouble finding a place where we fit in. Cari offers some ideas for how to begin creating community on our own, and we even touch on the Beyoncé Mass briefly. Rev. 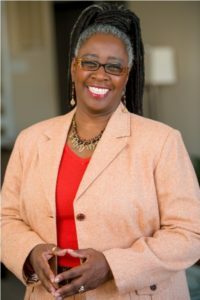 Dr. Cari Jackson is the author of five books, a speaker, a social healer, and a leadership coach. Cari is ordained minister, holds PhD in social ethics, and also has a law degree. She’s currently the Executive for Religious Leadership and Advocacy for the Religious Coalition for Reproductive Choice, and she’s worked across many different movements and organizations, bringing hope and healing and joy to the struggle for a more just, compassionate world. Cari brings her legal expert and spiritual wisdom to the debate around religious freedom. She has been reading the Report and Analysis on Religious Freedom Measures Impacting Prayer and Faith in America, produced by the Congressional Prayer Caucus Foundation. It outlines the strategies that legislators, both state and federal, are using to create laws that often discriminate against women, LGBTQ+ individuals, and people of faiths that are not Christian. 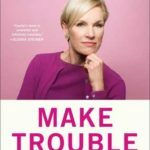 Katey reads Cecile Richards’s new memoir Make Trouble: Standing Up, Speaking Out, and Finding the Courage to Lead. Richards describes her upbringing, her career as a labor organizer, and her adventures in parenting young children as she worked as an activist before joining Planned Parenthood. Cari shares about the Coalition of Immokalee Workers, a human rights organization working to protect the rights and dignity of migrant farm workers. They currently have a campaign focused on fast food chain Wendy’s to join the Fair Food Program. To learn more and to take action, visit their site.